Yes, it is once again upon us! The 2016 Mackintosh Festival is in full swing with many events about, and inspired by the work of Charles Rennie Mackintosh. As I suspect many of you know, Charles Rennie Mackintosh was a graduate of the Glasgow School of Art and was the architect for, the aptly named, Mackintosh Building which is currently undergoing restoration work after the fire in May 2014. For those non-Mackintosh buffs, Charles Rennie Mackintosh (1868-1928) started as an apprentice to the local Glasgow architect John Hutchison, but in 1889 transferred to the larger and more established city practice of Honeyman and Keppie. To complement this architectural apprenticeship, Mackintosh enrolled in evening classes at the Glasgow School of Art where he pursued various drawing programmes and under the watchful eye of Francis Newbery, his talents flourished. Using the School’s Library and resources he was able to consult the latest architecture and design journals of the day, becoming increasingly aware of his contemporaries both at home and abroad. 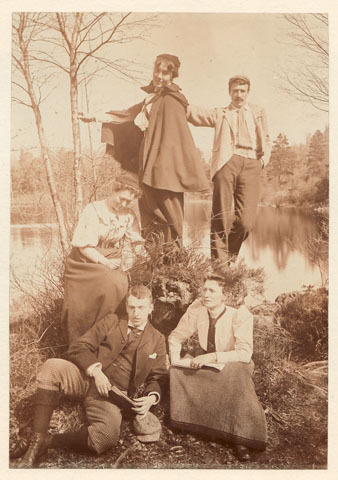 He won numerous student prizes and competitions including the prestigious Alexander Thomson Travelling Studentship in 1890 that allowed him to take an architectural tour of Italy. 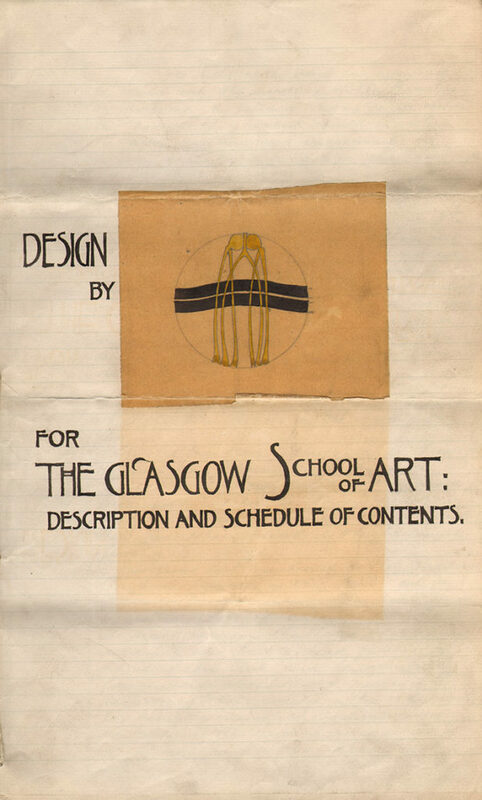 It was during this tour that Mackintosh produced what we now call his Italian Sketchbook, consisting of 81 pages of sketches by Mackintosh during his travels. The majority of these sketches are architectural with each sketch labelled with the name of the city or town in which it was sketched. More information and images of this book are available on our online Archives and Collections Catalogue here. 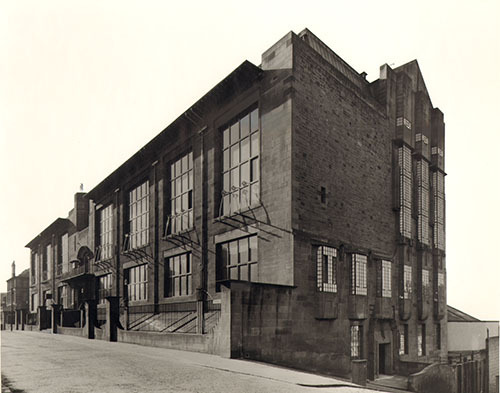 It was in 1896 that Mackintosh was to gain his most substantial commission, to design a new building for the Glasgow School of Art. This is now considered to be his masterwork. Interestingly the building was constructed in two distinct phases due to a lack of money, the first phase completed in 1897-99 and the second in 1907-09. In the GSA Archives and Collections we hold the complete institutional records for the School, including the records for the Building Committee (archive reference: GOV/5) which cover all aspects of the creation of the Mackintosh Building from the early financial records in 1883 to receipts for fittings in 1912. It is from these records, as well as other plans and references in our archives that we now know so much about the construction of the building and the work of Mackintosh for the School. With repairs now underway ‘State of the Mack’ will offer several short talks about the latest developments in the reconstruction of the building, including highlights from related research and conservation projects. 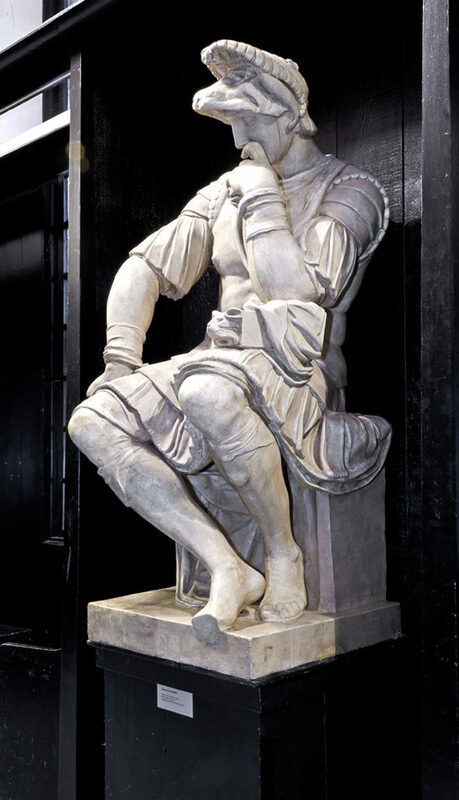 Many members of our lovely restoration team will be speaking, including the Archive’s very own Recovery Project Lead Polly Christie who will be talking about some of the conservation work being undertaken on the GSA Archives Plaster Cast Collection. For this event our Head Archivist Susannah Waters will be talking about what life was like at the School in the late 19th century. Attendees will have a rare opportunity to see some original sketches and watercolours created by Mackintosh during this time alongside some original documentation from our Archives and Collections. ‘Mackintosh at the GSA’ investiages the story of the Mackintosh building and the architect’s life and work from student to designer. You will have the opportunity to hear about the history of the Mackintosh Building, some of Mackintosh’s famous designs, and to view rare artworks by Mackintosh and his wide and long-term collaborator, Margaret Macdonald Mackintosh, now back on display as part of this daily tour. The Festival has worked with Wireframe Immersive have created a 3D experience that allow users to design and interact with a Mackintosh space. This will be taking place inside the St Enoch Centre every weekend in October. Check out the full festival’s programme here to see what are events are on offer! Until next time!